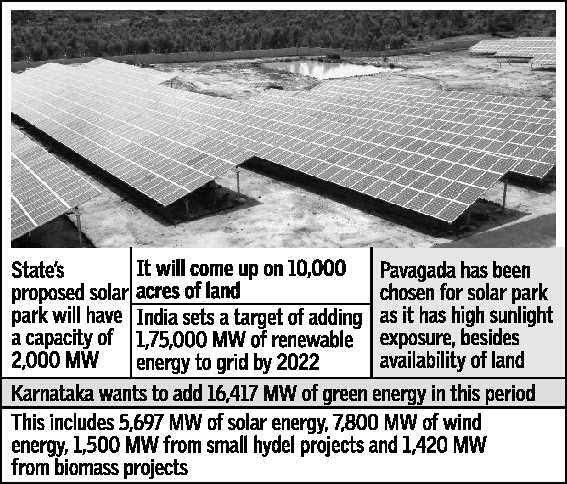 Musings 'n scribblings of a philanthrope .. : Pavagada solar energy farm in Karnataka - world's largest !! 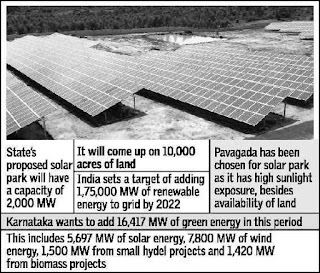 Pavagada solar energy farm in Karnataka - world's largest !! 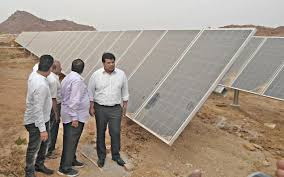 It was interesting to learn of India's and world's largest solar farm spread over 12000 acres in Pavagada near Tumkur, Karnataka with capacity to generate 2000 MW by 2020 at a cost of 13,000 crores INR ($2 billion). The project is being implemented for 1500 MW by National Thermal Power Corp of India, NTPC. 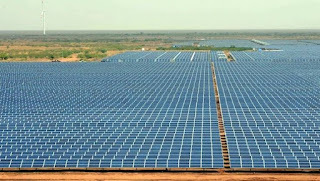 China is developing it's largest 200 MW solar plant in Gobi desert N China. Even the Kochi airport is just 12 MW in comparison.. The first 500 MW will be released to Karnataka grid by September '17. 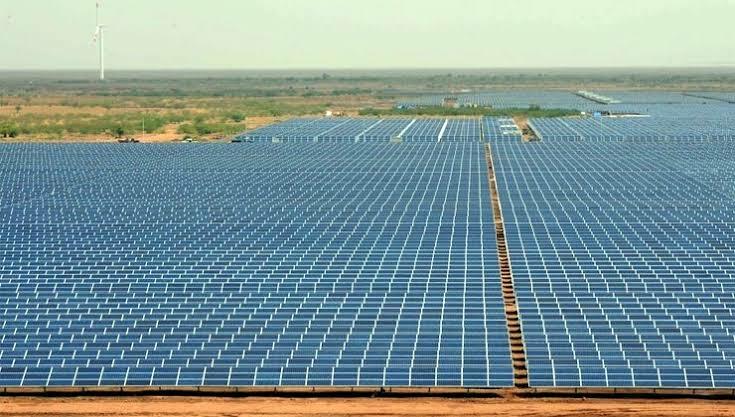 Click for the map here ..
India's great strides to solve it's energy needs through green, safe, solar energy means is definitely what the world also needs ! Instead of procuring the land from the farmers, in a really novel method, land has been taken on lease from the farmers at an annual rate of Rs 21,000 per acre. This will ensure that the farmers will also be willing to spare their land, which they are sure will get appreciated over time as energy brings prosperity not only to their state but the entire state. Click for the Hindu link here ..